This model is the Beeju (UK) Double Decker Bus in red and white plastic with "Beeju Toys" advertising. 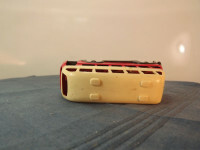 A two part plastic casting comprising the two halves of the bus, the model is entirely red on the lower half and white on the upper with only limited detail cast into the body. 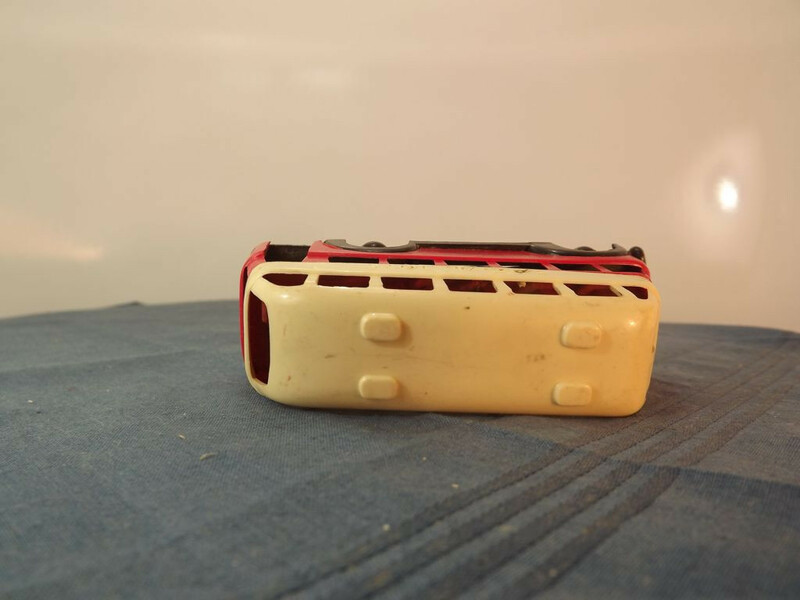 The upper sides have advertising for "Beeju Toys" branded into them. 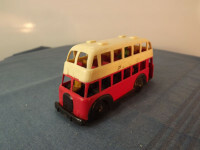 The interior of the model includes the rear steps to the upper deck and seating for the passengers which has been incorporated into the die by having the seats protrude out from the top of the lower casting for the upper seats and in a similar manner from the base for the lower seats. 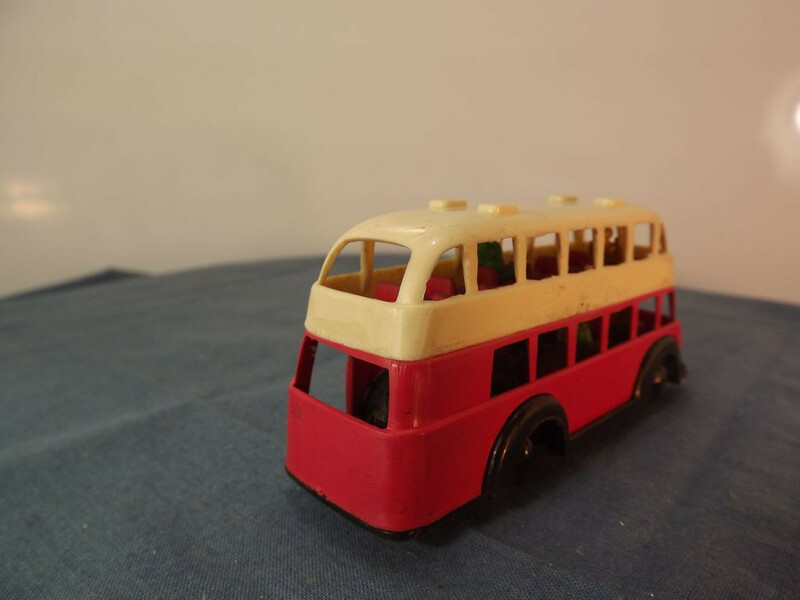 Separate passengers (4), driver and conductor figures have been glued in place into the seats (6 figures in all, 3 tan, 2 green, and 1 red). There is no glazing. 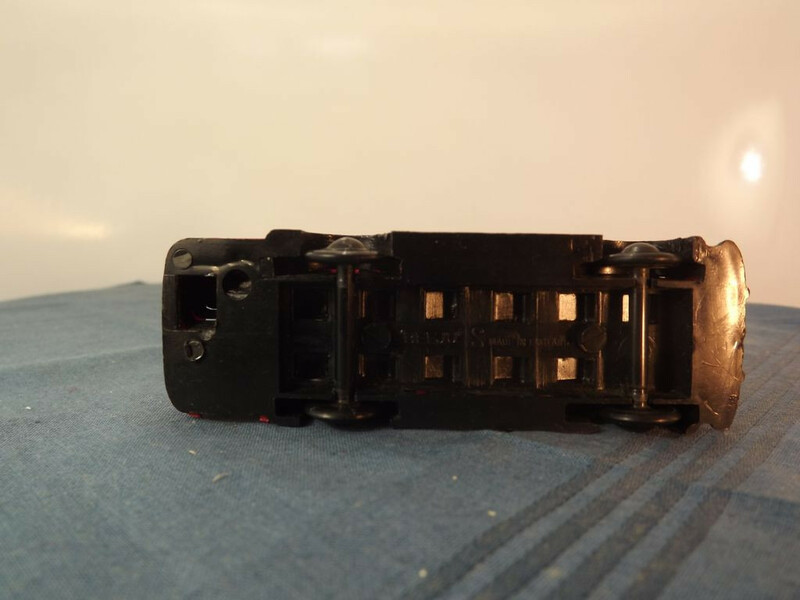 The baseplate is black plastic and incorporate the rear steps to the upper deck and the lower seats. It is marked "BEEJU [reverse number 2] Made in England" on one line in the centre middle. The reversed number 2 is the die number. 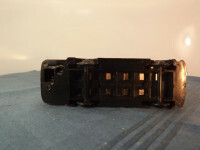 All wheels are one piece, black plastic axle and wheels, attached to the body by clipping into specially shaped grooves. Thought to have been issued in either the 1940s or early 1950s due to the branded imprint as later issues came with water-slide decals.